The term ‘T10’ or ‘us’ or ‘we’ refers to the owner of the website whose registered office is Bourne House, 475 Godstone Road, Whyteleafe, Surrey, CR30BL. The term ‘you’ refers to the user or viewer of our website. Payment's: All T10 Coaching payment's are taken through a reputable, tried, tested and trusted business payment terminal "Paypal" and "Braintree, powered by Paypal." T10 Coaching do not hold/store any card information. Braintree by paypal offers leading enterprise fraud tools and technology. Paypal and Braintree by Paypal are fully PCI compliant. Booking's : T10 operate an online booking system to cut back on administration for our team and our client's. All booking's are made online on a first come first serve basis and T10 cannot grant any preferential treatment to those booked the previous term as the system is designed this way. If you are having trouble booking onlien or have no access, T10 can make the booking for you but you must be a registered member on www.t10.co.uk and have completed all of the required detail's. There is a £5 admin fee for this service and finance will add this charge to the final invoice. All invoices for T10 made booking's are sent via email to the user's chosen email address and work on a click and pay set up to accept paypal, credit/debit cards. Please note if a club/class/camp is fully booked a message in red will appear under teh menu bar after teh form has been completed, you may email all of your child's detail's and your contact detail's to be placed upon a waiting list with immediate effect to : hello@t10.co.uk. Cancellation's and Refund's: All paid booking's are non refundable (including any payment's taken through previous company names/payment terminals and passed over to T10 Coaching). Exceptional circumstances will be considered for cancellation/refund at finance's discretion. Please note if you have booked a club through t10.co.uk for the wrong service or club this is strictly not the responsibility of T10 Coaching, T10 Coaching will do our best to rectify the booking for you but there will be a minimum of £5.00 admin fee applied. If you have booked one of our clubs at your nursery or school but meant to book a completely different running at your nursery or school that is unconnected to T10 Coaching a refund will be processed but there will be a minimum admin fee of £5.00 to process this refund. T10 Coaching advise all customers to book online, telephone booking's can be taken however there is a £4.00 admin fee to process. Please note if a class is cancelled (beyond T10's control i.e. staff sickness, facility cancellation) T10 will always reschedule the session either during the school holiday that term or the end of the term if the facility is available and coaches, in the event of the chosen facility not being available T10 reserve the right to source another facility as locally as possible to replace the cancelled session and will not process refunds in this circumstance. If a customer is not going to be attending all of the T10 classes for the term booked T10 are unable to pro rata the cost, all courses must be paid in full regardless of attendance per term. Please note T10 representatives/staff reserve the right to disallow training if payment has not been received prior to training commencing each term. To request a cancellation/refund please write to finance@t10.co.uk. Firstly detail your complaint in writing to hello@t10.co.uk, please ensure to include as much information as possible to allow our team to channel the information through to the correct department for further investigation. Email's are read Monday - Friday between 10am - 12am, if your email has arrived safely you should receive an automatic response. You are welcome to contact head office to check if your email arrived safely. All complaints will be investigated within 15 working days (after receipt of complaint via email) and a response will be given within this timeframe. Responses from T10 to resolve any matters may be in writing via email and/or via a telephone call. When T10 has submitted a final response to any complaint the matter will be closed. Online booking's by customers adhere to all terms and conditons stated above and/or any further document's signed. T10 Client's of any service provided such as : Nurseries, Schools, Colleges, Facilities adhere to T10 contracts provided. T10 staff/representatives adhere to T10 contracts provided. A request for any documentation must be made in writitng to T10 Coaching, Bourne House, 475 Godstone Road, Whyteleafe, Surrey, CR3 0BL or email to hello@t10.co.uk. When requesting document's you must present your full name, address, postcode, contact details (Email's and mobile/home phone numbers) and full reason for requesting the documentation. T10 reserve the right to reject a request for documentation if it is deemed an invalid request. It is important when requesting documentation that you are the person with authorisation to request. Please allow at least 30 days for documentation to be provided from date of validation. Validation: The date T10 confirm your request is valid and agree to provide teh documentation. T10 may choose to send the documentation via post or email. Joining T10 Football classes has really helped my son. The unique training program concentrates on development. The children receive more touches of the ball at a faster pace, giving them the ability to successfully pass & move a football intelligently in tight areas. Both of my boys attend the T10 football classes and I truly believe it is the only way forward. My boys never miss a session and just can’t get enough. Both of the boys are hoping to be selected for up and coming tournaments and the Elite sqaud. My son Nate is only 3 but is already crazy for football. Enrolling him in the T10 weekend football classes for toddlers has developed not only Nate's football skills but his listening skills too! It's the best thing I have done. He LOVES his coach who is always fun and upbeat at the classes. Our three children all attend different T10 Football Classes. They are always extremely keen and enthusiastic to attend every training session that’s available. They have received excellent coaching and their skills and all round games have developed beyond all recognition. What is the name of the nursery/school? Welcome to the T10 Technical Football classes page where you can choose from our range of classes to suit your child's needs. 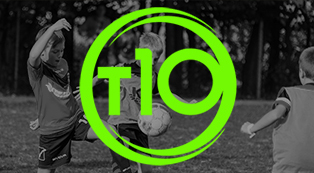 For beginners to Advanced & Pro Player development look no further than T10 for your tekkers. Our classes offer the UK's best technical training programme using small ratio's of PODS (10 to 1). T10 PRO is invite only unless you are a signed academy player (academy players gain auto entry if spaces are available). T10 POD (10-1) is for beginners to intermediate players. T10 also offer a range of class ratio's to suit yoru needs and budget's whether it is 1 to 1, 1 to 2, 1 to 3, 1 to 4 or 1 to 10 please feel free to enquire. All services are pre book only, if you are interested in either of these options you will need to get in touch to enquire about availibility day/time/cost/coach/course length: hello@t10.co.uk. You may ask , what is unique about T10 classes? In a nutshell, T10 place quality of delivery with quality content to develop all areas of our players game. T10 have successfully signed over 75 youth players into pro academies throughout the South East of England - proof that our methods work. Alongside our academy signing's T10 enjoys coaching players of all abilities all year round who continue to progress with our coaching methods. Up your game today and join T10 improving tekkers and creating ballers! BE A 10! Login/Register now to book faster! Please note our cancellation, refund policy is detailed within the terms and conditions please confirm you have viewed, read, understood and agree to the terms & conditions before you make a booking and payment today. I have read, understood and agree to the T10 terms & conditions. Which football class are you interested in?